HITO, Kitomba, and NZARH are thrilled to announce the 2017 Industry Awards finalists. The Industry Awards is an annual celebration of the Kitomba NZARH Business Awards and the HITO Next Generation Talent Awards. These awards celebrate excellence in business and training in the hair, barbering and beauty industries and are a highlight of the industry calendar. 2017 marks the eighth year of the Industry Awards, with over a thousand hair and beauty professionals, trainers, and businesses vying for top honours in business and training throughout the years. HITO is thrilled to celebrate the businesses, apprentices, and trainers helping New Zealand’s hair, barbering, and beauty industries perform to the highest standard. A highlight for this year’s awards was the announcement of HITO’s first beauty therapy apprentice of the year finalist: Machaela Robbins from Pamper Me in Thames. “The HITO Next Generation Talent Awards celebrate the future of these industries. Our top trainers and training workplaces help nurture our future leaders, putting New Zealand’s hair and beauty industries on an international level. Our top apprentices bring new ideas and innovation to our industries, constantly helping them grow and change with the times. Our Next Generation Talent Awards acknowledge these leaders and help the barbering, beauty, and hair industries move into the future”. The winners will be announced at the Industry Awards event on Sunday, November 19 in Auckland. Tickets are available from iTicket. Thank you to the 2017 Business Awards sponsors: L’Oreal, Wella, Salon Business Coach and Comfortel. HITO is thrilled to announce the HITO Regional Apprentice of the Year finalists for 2017. After two long days of judging, HITO Next Generation Talent Awards judges Bex Brent (owner at Willis York), Nadine Gratton (former HITO Apprentice of the Year), and Ruth Irwin (2016 HITO Trainer of the Year) selected the following apprentices as finalists in their regions. One apprentice from each region will win the HITO Regional Apprentice of the Year title. These six winners will go on to compete for the HITO National Apprentice of the Year title. This award will be announced at the Industry Awards on Sunday 19 November 2017 at at the Cordis Hotel (formerly known as The Langham) in Auckland. 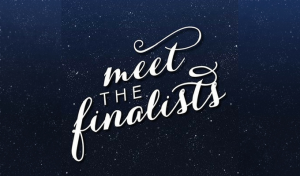 Congratulations to our finalists, and thank you to everyone who entered. The standard of applications was extremely high as always. You should all be proud of the effort that went into entering this award. A full list of finalists, including the HITO Regional Apprentice of the Year title winners and the Kitomba NZARH Business Awards finalists, will be announced on Friday 29 September. Buy your tickets for the Industry Awards dinner today from iTicket.